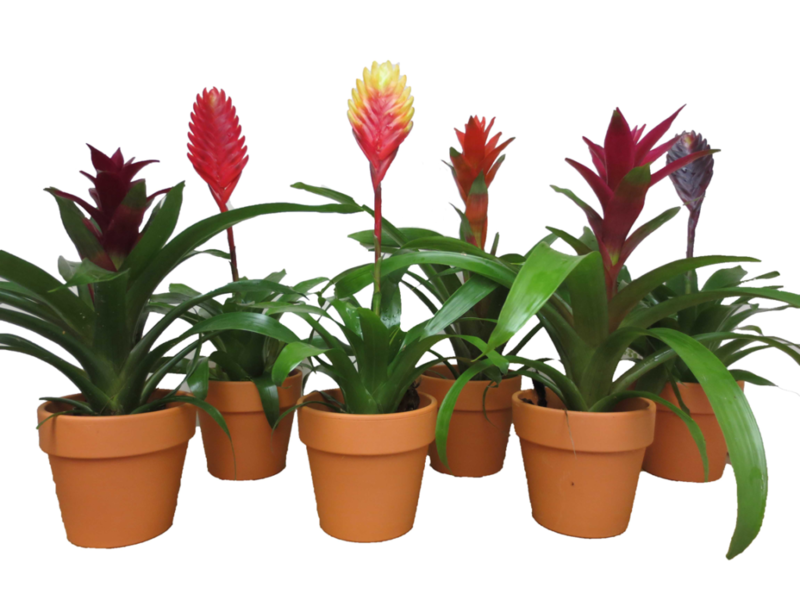 Bromeliads add a sophisticated pop of color to any decor. The colors are striking against the contrast of its dark green leaves and the blooms last for several weeks. 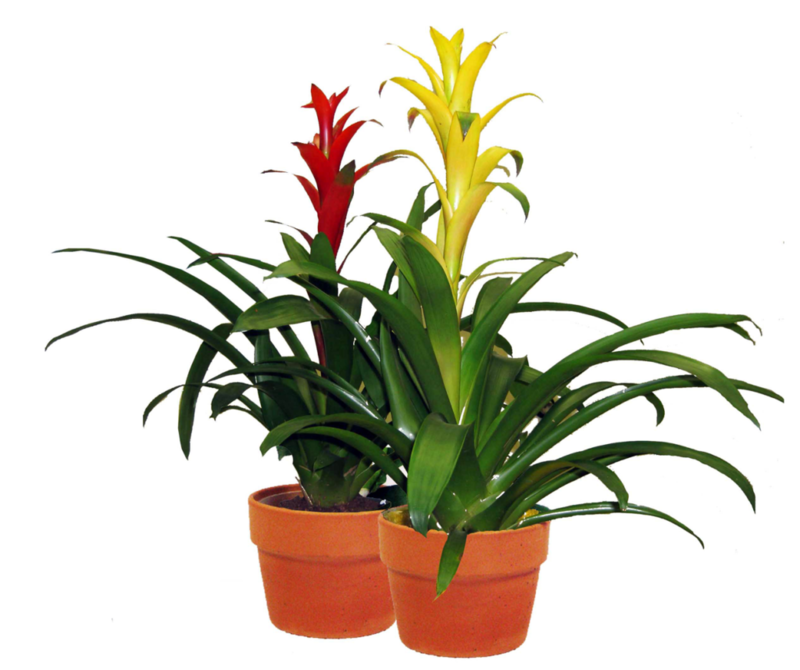 As the color begins to fade, the mother plant may produce pups at its base that can be grown into more Bromeliads! 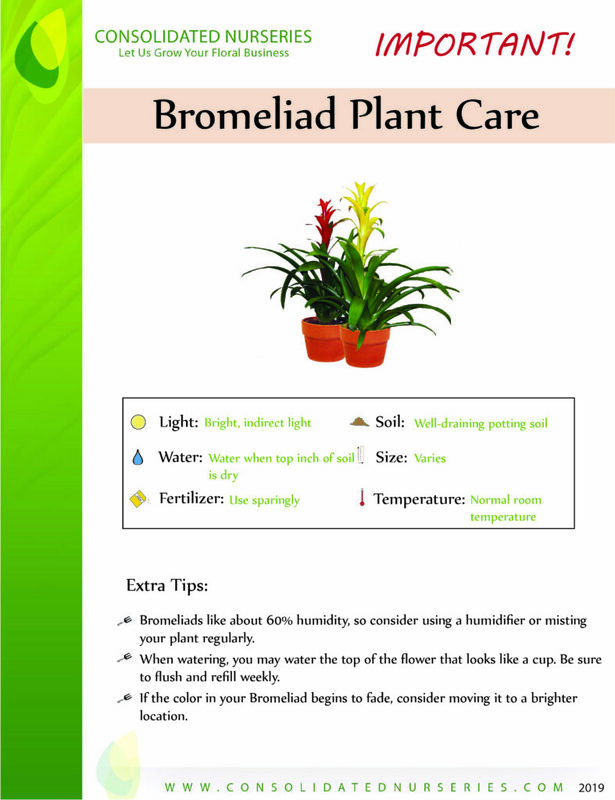 It is definitely a fun and rewarding houseplant.